Mason, N.A. * and K. J. Burns. 2015. 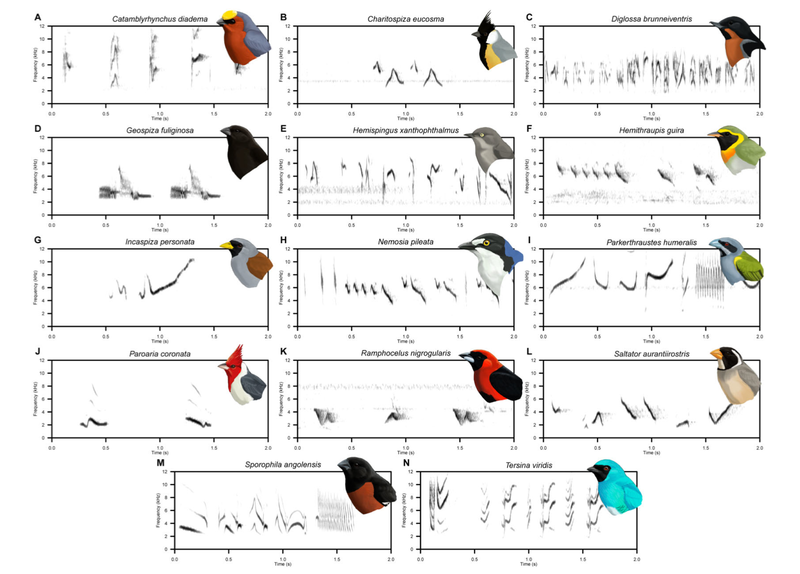 The effect of habitat and body size on the evolution of vocal displays in Thraupidae (tanagers), the largest family of songbirds. Biological Journal of the Linnean Society 114: 538–551. For pdf, you can go to the journal’s web site or just send an email request to kburns@mail.sdsu.edu. Variation in tanager song. Tanagers are often assumed to be poor singers, but they actually produce a variety of vocalizations. Thanks Mary Margaret Ferraro for the great illustrations!